We have not yet seen the worst damage that genetic engineering may do. Australia’s governmental agency, Commonwealth Scientific and Industrial Research Organisation (CSIRO), is developing a wheat species that is engineered to turn off genes permanently. The wheat genes involved are called SEI. The specific sequences of those genes are being termed classified confidential information. CSIRO, which is part of the Australian government, is developing a commercial application, but refuses to divulge the information that’s most significant to the people of Australia! The government is apparently more interested in profits than in the people’s safety. Dr. Heinemann was asked to provide his opinion of CSIRO’s genetic engineering on wheat plants and produced the report “Evaluation of risks from creation of novel RNA molecules in genetically engineered wheat plants and recommendations for risk assessment”2. He discusses the nature of the genetic entities that are being played with and explains how they can affect human health. … leads to more and different dsRNAs (“secondary” dsRNAs) with unpredictable targets. Heinemann points out that a silencing effect on a gene, once initiated, can be inherited. Though it’s known to happen, little is yet known about the process. In fact, employees from the world’s largest GM company, Monsanto, have written at least one paper about how to commercially exploit the fact that dsRNA survives digestion in insects, in their attempts to try to control insect pests of plants. That is, the plant is genetically engineered to produce a dsRNA, which insects ingest when they eat the plant; the dsRNA survives digestion in the insect and then silences genes in the insect to stunt its growth and kill it. Dr. Heinemann investigated and found that sections of the two genes, SEI and GBE, are a perfect match. Because CSIRO is saying that the specific SEI sequence that’s modified is classified confidential information, we cannot know for certain what harm might be done to humans. However, it’s obvious that shutting down a section of the GBE gene holds the potential of death—yet, Heinemann showed that it’s not only possible, it’s likely! 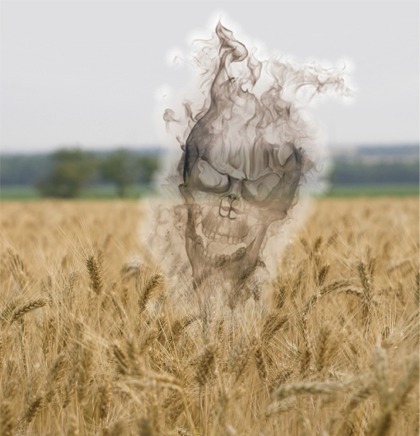 It appears that neither organisation has appreciated or properly safety assessed this wheat in the light of the fact that the dsRNA produced in these GM wheat varieties may survive digestion, enter the tissues of the body and silence a gene or genes in the recipient. It also appears that neither organisation has “joined the dots” to appreciate that, of all the genes that could be silenced, the most likely one is a similar branching enzyme in animals and people and that silencing it could seriously impair or even kill those that eat it. The Australian government appears to have become nothing more than another Agribusiness corporate entity. They’re using the people’s money to fund a massive profit-making venture in genetic engineering without any consideration for the potential harm that may be done to either the environment or the welfare of the people. Not only are they willing to risk mass deaths from products they’re hoping to put on the market, they also seem to have no concern for whether they might be doing permanent damage to generations that follow.